Where do I start? 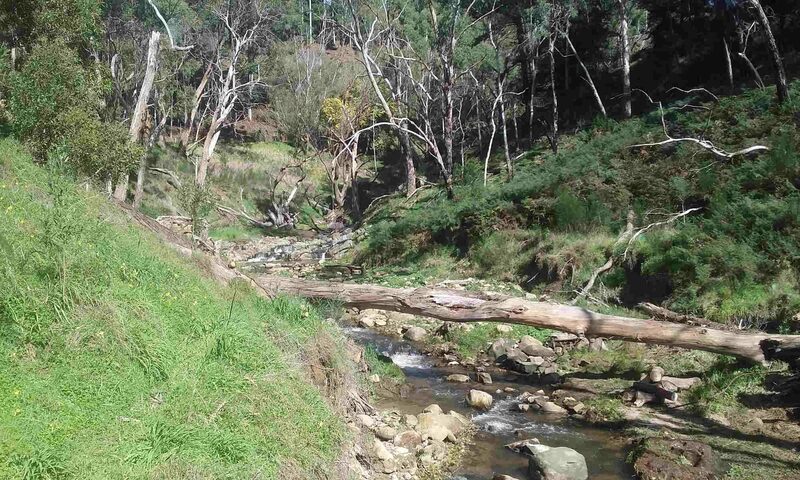 This photo is characteristic of a lot of sites in the 6th Creek catchment – steep and infested with woody weeds! 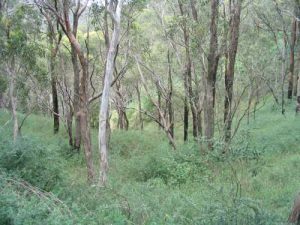 The tree canopy is still available but the native understorey which would’ve consisted of shrubs, groundcovers, lilies and grasses has been smothered by woody weeds (in this case Montpellier broom). An out of control burn off is not necessarily a bad thing! 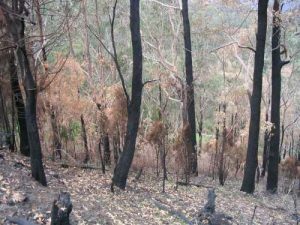 With the aim to protect native vegetation and restore habitat, fire actually creates an ideal opportunity to access usually in-accessible areas and can put you years ahead in a woody weed control program. You must be prepared to embark on a few years of vigorous follow up weed control work or you will end up back where you started. In just over 12 months, the fire has led to the rapid germination of broom and African daisy on this particular site – covering nearly all of the ground surface. As the seedlings are still small (30 – 100cm high), this is the ideal opportunity to see what’s come up after the fire, eliminate any weeds (in this situation, 1 overall spray using Garlon – a woody weed herbicide which does not affect grasses), and help the land naturally regenerate. 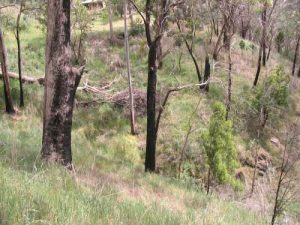 After another 12 months, this site has shown remarkable results in natural regeneration with a thick cover of native grasses, scattered native lilies and a few shrubs. The weed maintenance program is now limited to spot spraying and hand pulling. It is estimated that without the fire it would have been a matter of hand slashing tracks and overhead spraying for at least 5 years at approximately 15 times the cost to reach the same stage. 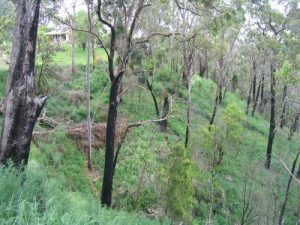 This site will continue to regenerate naturally without the previous large woody weed threat, and the owners can breathe a little more easily after a lot of fuel has been reduced in the event of another fire!